The hop flavor in our Hopzerker is strong and complex. We use generous amounts of West Coast style hops to give it a nice hint of citrus. Although hops are what this beer is all about, the malt backbone supports the strong hop character and provides a good balance. Our wheat ale is a light refreshing wheat beer. Although this is an American wheat beer, we use Nobel hops to keep it on the not-so-hoppy side. Our ale yeast makes this wheat beer very crisp. A bit of special malt provides the richness that is smoothed out with just the right amount of hoppyness. Unfiltered and dry-hopped, smooth with a medium-light bodied mouthfeel. Citrus hops crossed with a session IPA. Enjoy. This Hazy IPA is loaded with juicy flavors. Hints of pineapple, guava, orange and other citrus aromas. This delectable brew is sure to be the next trendy IPA. Woody’s Amber uses generous amounts of crystal malts balanced with Cascade and Centennial hops with just a hint of goodness. Nutty Woody has a moderate malt sweetness with a nutty, light caramel character and a medium-dry finish. This ale also has a toasted, biscuit or toffee-like character. Woody’s Apricot Wheat Ale is a light refreshing fruit beer. Like our Swheat Dreams, we use Nobel hops and ale yeast and leave it freshly unfiltered. A smooth balance of rich dark malts with a clean finish and just a hint of bitterness from this low alpha acid ale. Perfect for enjoying during a cold winter day! Standard pale ales have become boring and obsolete. We dressed ours up with loads of Citra hops during our dry hopping process. 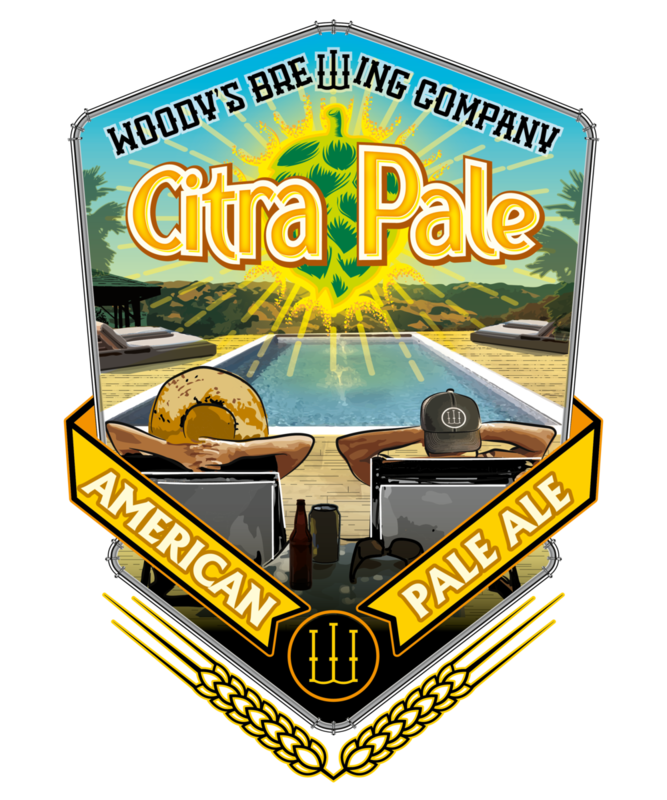 This American Pale is the perfect choice for a refreshing pale that doesn’t leave your mouth dry but refreshed. One of Woody’s favorites! Woody’s famous house made tots with a hint of garlic, formed by hand, fried until golden, crispy on the outside and pillowy soft on the inside. Served with Cajun aioli. Jack cheese, cilantro crema, fresh sliced jalapenos, habanero cruda, guacamole and cilantro. Add shredded beef, chicken, pork or black beans for 3.49. Not HOT enough for you? Try our ghost pepper jack cheese for 1 more. Woody's twist on a classic; two smoked bratwursts, beer battered and fried until golden brown, served with malted vinaigrette. A pair of 4 oz. ossobuco style pork shanks slow roasted to perfection and grilled. Choose either “smothered” in candied bacon or served “Thai style” with pickled veggies, cilantro and fresh jalapeño. A giant soft pretzel served warm with our famous beer cheese sauce and a side of mustard. A pile of wild caught, Loligo calamari strips battered and dredged in seasoned bread crumbs, fried golden brown and served with our house made cocktail sauce and remoulade. A trio of tender crispy chicken tenders, tossed in buffalo sauce, on grilled mini pretzel buns, with Bleu cheese aioli. A full pound of chicken wings done Woody’s style! Tossed in one of our signature sauces-mild or hot Buffalo, Thai, BBQ or Sweet Chile. Sauteed gochujang shrimp on a bed of mixed greens with bell peppers, carrots, red onions and thai basil with a spicy Thai dressing. Mixed greens, sliced tomato, cucumber, artichoke hearts, walnuts and feta served with our Marion berry vinaigrette. Mixed greens, diced tomato, boiled egg, grilled chicken, avocado, crumbled bacon and Bleu cheese, with Bleu cheese dressing. Chopped romaine, tortilla chips, tomatoes, green onions, cilantro, guac, shredded cheddar cheese, chipotle ranch, and your choice of shredded beef, chicken, pork or vegetarian black beans. Mixed greens, cabbage, grilled chicken, and cilantro tossed in a sesame dressing, topped with almonds, green onion, sesame seeds and jalapeno. All burgers are 1/2 lb certified Angus beef from R&R meats. All entrees are served with pub-made tots, kettle chips, steak fries or side salad. Substitute grilled chicken, house made veggie patty, gluten free bun, Ciabatta roll or lettuce wrap on any burger. *Make any burger “Monster Style” by adding an extra 1/2 lb. Angus patty and cheese for only 2.99 more. 1/2 lb. Angus beef topped with romaine, tomatoes, red onions, pickle chips, 1000 island and your choice of cheese. We've teamed up with R&R meats to create a special recipe Bratwurst; served on a pretzel roll, either polish style with sauerkraut and mustard or American style with onions, tomatoes and pickles. Marinated, grilled chicken topped with chipotle aioli, guacamole, Ortega chile, ghost pepper jack cheese, romaine, tomatoes, red onions and pickles. 1/2 lb. Angus beef burger topped with sweet and tangy house made barbeque sauce, smoked onion rings, apple wood smoked crumbled bacon and smoked gouda. 1/2 lb. Angus beef with fresh jalapenos, romaine, tomatoes, red onion, pickle chips, pepper jack cheese and chipotle aioli. 1/2 lb. Angus beef topped with romaine, tomatoes, red onion, pickle chips, bacon, bleu cheese crumbles and our Bleu cheese aioli. Done Woody’s way with a pile of thick cut bacon, romaine, crispy fried tomatoes, sliced red onions and guacamole with a smoky chipotle aioli on a Dutch crunch roll. Over half a pound of hand-cut cod battered with Nutty Woody and deep fried, served with remoulade and fresh coleslaw. Stay tuned for upcoming events, including beer and food tasting parties, comedy shows, and much more! If you're looking to host a private event, check out our Banquet Room packages. Specials for the Month of April! April specials are here and they do not disappoint! Chef Chris pulled out all the stops with these tasty entrees! You'll want to try them all! See you soon! Tuesdays - Our Legendary Taco Tuesdays - Four savory tacos with your choice of fiery shredded beef, caliente carnitas, picante pollo or diablo cod. Mix and match to your heart's content! All served with cilantro cabbage slaw, Cotija cheese, chipotle aioli and serrano cruda. Wednesdays - Thai pork lettuce wraps - Four lettuce wraps stuffed with braised and tender Thai pork, pickled veggies and sesame seeds. A low-carb lover's dream! Thursdays - Cordon Bleu Sandwich - Grilled chicken breast, slow roasted ham and Swiss cheese, piled high on a Ciabatta bun with Dijon aioli. Served with your choice of side. Fridays - Hearty Beef Stroganoff - Tender, braised beef in a savory mushroom cream sauce over al dente egg noodles. Delicious! Saturdays - Shrimp Linguine with Sun Dried Tomato Pesto - Sautéed jumbo shrimp on a bed of linguine with house made sun dried tomato pesto. Served with garlic bread. Sundays - Strawberry and Goat Cheese Spring Salad - Fresh spinach, ripe strawberries, goat cheese, seasoned grilled chicken and sliced almonds in a lemon dill vinaigrette. Get $4 off all 64 oz. Woody's growlers and $2 off all other 64 oz. growlers each Wednesday! Join us on May 19th, 2019 as Comedy on Tap presents the comedy legend Chicago Steve Barkley!! Chicago Steve has been making audiences laugh in comedy clubs, on cruise ships and for corporate clients for more than 40 years. He's a regular at Comedy on Tap and never disappoints! With a high energy delivery punctuated with sound effects and an animated delivery style, Chicago Steve never fails to deliver big laughs while keeping his show corporate clean. This show WILL SELL OUT so get your tickets now! $15 in advance or $20 at the door. Reserved seating and tables only. Dinner seating at 6:30 p.m., show at 8:00 p.m. See you there! In case the pub isn't cool enough for you, we have a really cool banquet room for private parties. We offer two different packages that can seat up to 30 people. Please provide 48 hours notice to guarantee reservation. A 50% deposit is required to reserve the room. A 72 hour cancellation notice is required for a full refund. Click here to download the banquet menu. Woody’s Brewing Co. is a dream of many decades that has finally evolved from a love to consume and brew beer, to all other activities involved with it. We are a brewery that started out with three men’s passion to deliver good beer in a great atmosphere. 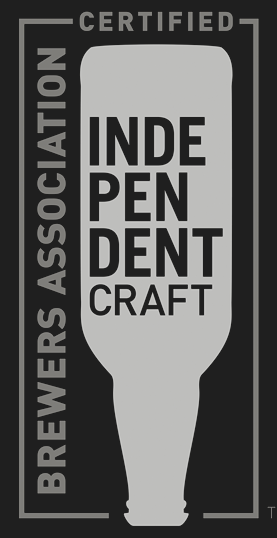 We are believers of the do it yourself attitude and feel that mantra shines through in our high quality and artfully perfected ales. So... Do it yourself! Because it's your actions that matter. Pat Wlodarczyk, our Head Brewer, has had a vision since he was a young man that he would create award winning beers for people of the masses. He dreamed that someday he would be able to focus solely on brewing beer, which for the past 25 years of his life has been one of his biggest passions. Pat is one of those kinds of people that once you meet them, you are inspired by them. The joy and utmost devotion that he has to perfecting his beers is what people will be amazed about. Pat started brewing on a 1bbl (2 kegs) brewing system that he has been artfully perfecting since installing it in his “Brewhouse” in the year of 2009. Pat is an active member of the “Brewtechs”, which is a local craft brewing group. He has won numerous awards for his brewing styles and has had compliments from world renowned judges and craftsmen throughout the years. Pat knows that his beers will always evolve and he can’t wait to share it with all who accompany Woody’s. Andrew Wlodarczyk, our Operations Manager, has wanted to be a small business owner for as long as he can remember. As he grew up, he too had a dream of owning a microbrewery. Just recently (and by recently he means years ago) he found out that his uncle Pat and his father Scott both had dreamed of the same idea for many years as well. Andrew knew that he would need to get a formal education to allow him some type of professional credential. Andrew holds a B.S. degree from California State University of Chico in Entrepreneurship and Small Business Management. This degree has taught Andrew every “book theory” and “strategy” about owning your own business but has learned that the real lessons start when you put one foot in front of the next. Our other equally important member of Woody’s is Scott Wlodarczyk. Scott has been in the beer and wine retail and distribution industry for virtually his whole professional career. He started with Lucky’s Market in Sonoma County at age 20 and learned quickly what working the graveyard shift managing the beer and liquor department was like. He decided to move up the distribution channel and received a job with Budweiser. He has since been working for large distribution companies throughout the West Coast from Budweiser out of Napa, California to Columbia Distributing out of Portland, Oregon, to finally making his way to Redding to become a Key Management Supervisor for the past 15 years at Redding Distributing. Scott has vast amounts of knowledge when it comes to successfully marketing and selling beer. Scott is also a certified beer server Cicerone, which means “the dude knows beer”. Donations & Sponsorships-If you are a local non-profit looking to request a donation or sponsorship, download our application by clicking here. Copyright © 2017 Woody's Brewing Co. All rights reserved.